Both the introductory and closing text of the TUPS can be customized. 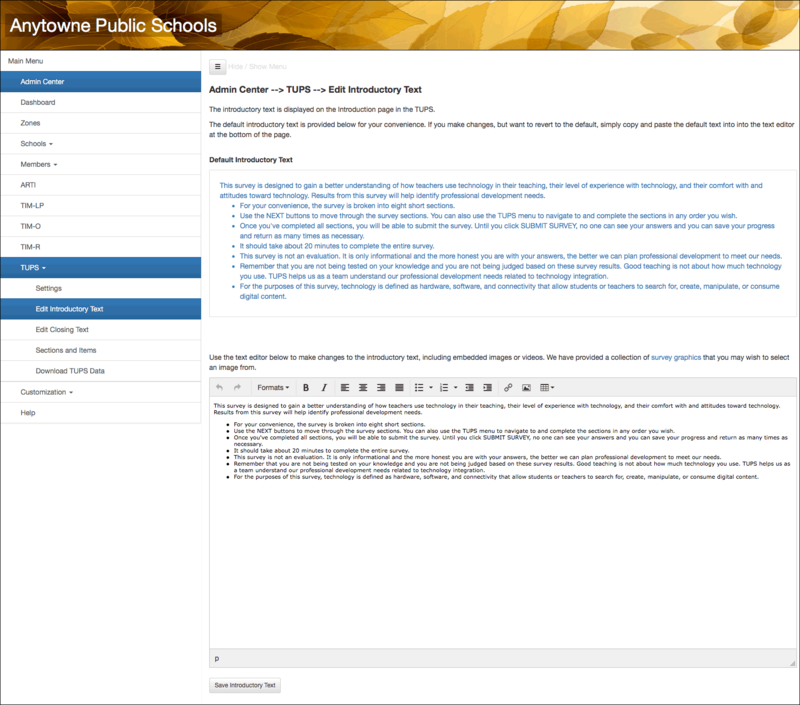 To edit the TUPS introductory text, first go to the Admin Center, select TUPS, then Edit Introductory Text. You’ll find a list of bullet points we think that your teachers might find useful. These can be edited as you like or deleted. Use the text editor at the bottom to make any desired changes to the default text. The copy of the text in the top box is there just so it is easy for you to copy and paste and parts of the original text back into your edited version if you wish. Note that the text editor has a button to add an image if you wish. Just click the picture icon and add the URL of any image you wish to insert into the survey introduction. You might find something you like in our collection of survey graphics. Figure 1. Edit window for the TUPS introductory text. 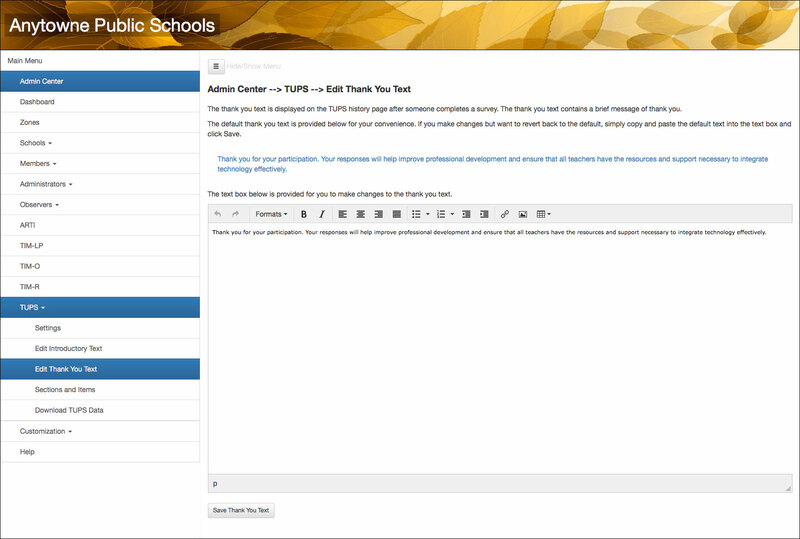 To edit the TUPS closing text, first go to the Admin Center, select TUPS, then Edit Closing Text. This works the same as the introductory text editor. You may wish to add a thank-you graphic from our survey graphics collection. Figure 2. Edit window for the TUPS closing text.